Riding together for 10 years this couple tied the knot October 29, 2016. Tammie Roe-Beaver rides a 2016 CVO Street Glide while Michael Beaver rides a 2015 Ultra Limited. 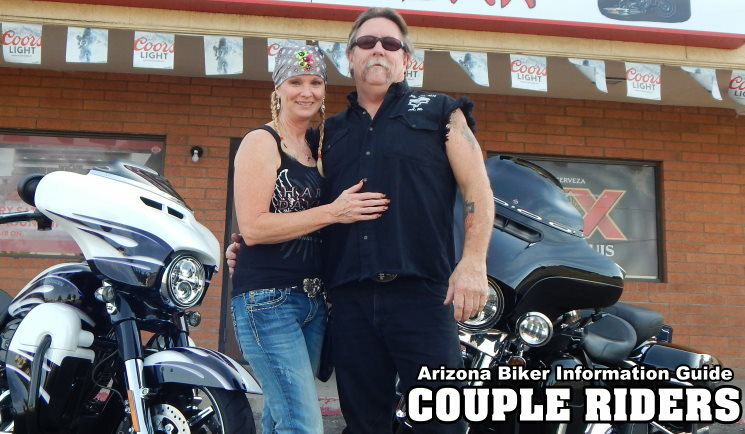 They love to ride to Jerome the long way; the dream ride is to Reno and Daytona. Stop by their new venture, The Beaver Bar and congratulate this newlywed couple soon.